The following illustrated history of the American Hockey League and early professional hockey in Philadelphia was originally written for the AHL 1999 All-Star Game played at the CoreStates (now Wachovia) Center in Philadelphia, PA. It was last updated and expanded in October, 2014. 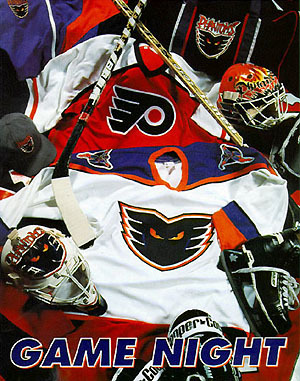 When the evntual two-time Calder Cup Champion (1998, 2005) Philadelphia Phantoms played their first American Hockey League game in October, 1996, they became the fourth club to represent Gov. William Penn's 'Greene Countrie Towne' in the AHL since the Fall of 1936 when the four surviving member clubs of the then decade old Canadian-American ("Can-Am") Hockey League -- the Philadelphia Ramblers, New Haven Eagles, Providence Reds, and Springfield Indians -- first joined forces with the four survivors of the seven-year old International Hockey League -- the Pittsburgh Hornets (nee Shamrocks), Cleveland Barons (nee Falcons), Buffalo Bisons, and Syracuse Stars. After playing a makeshift interlocking "schedule of convenience" for two years, seven of these clubs (Buffalo had folded in December, 1936 when the roof of their rink collapsed after a blizzard) and the then three-time defending Eastern Amateur Hockey League champion Hershey Bears Hockey Club formally organized themselves into a new International-American Hockey League (renamed the American Hockey League in 1940) at a meeting in New York City on June 28, 1938. And that still flourishing circuit -- considered by many to be second only in the world to the NHL -- has now been bringing outstanding professional hockey to its millions of fans ever since without interruption. The now almost 90-year history of pro hockey in Philadelphia has often been one of stark contrasts. To be sure, over the past almost half century Philadelphia has been home to many truly great hockey exploits -- the NHL Flyers' frequent regular season Division and conference titles, eifght post season trips to the finals, and two Stanley Cups, their incredible defeat of the Soviet Central Red Army team in 1976, the unprecedented 35-game unbeaten streak in 1979-80, the great Hall of Fame playing careers of Bob Clarke, Bernie Parent, and Bill Barber, and, of course, the consistent success of the Phantoms between 1996 and 2009 -- especially their AHL record 17-game winning streak in 2004-2005 and their two marvelous Calder Cup seasons. With a few exceptions, however, the history of the game's earlier years in Philadelphia was a much less successful -- but no less interesting -- story. Professional ice hockey first came to Philadelphia in the Fall of 1927 when the nascent Philadelphia Arrows first took to the ice at the Philadelphia Arena on Market Street between 45th & 46th Streets in West Philadelphia to become the sixth member of the then year old Canadian-American ("Can-Am") Hockey League. (Originally known as the "Philadelphia Auditorium and Ice Palace" when it first opened its doors in February, 1920, the 5,000-seat Arena was all but supplanted as an indoor sports venue with the opening of the Spectrum in South Philadelphia in September, 1967, and was eventually destroyed by fire on August 24, 1983. The first formal sporting event in the building was a college hockey game played on Saturday, February 14, 1920, in which Yale shut-out Princeton, 4-0.) Although the city's first pro hockey club finished dead last that season with a 13-25-2 record, by 1932-33 the Arrows had brought the city its first ever regular season hockey title with an impressive 29-12-7 mark. (The 1933 Can-Am play-off crown, however, went to the Boston Cubs.) In 1935-36 the team was renamed the Ramblers when it became the top farm club of the New York Rangers (see below). 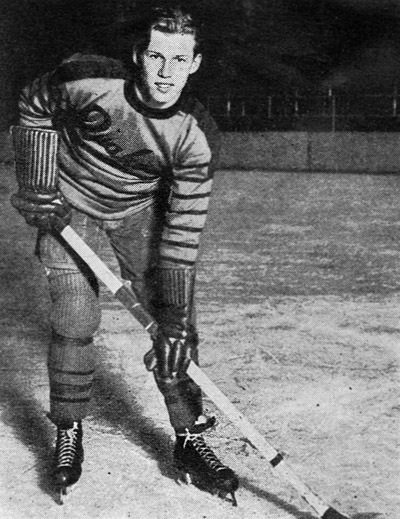 Among the notable players to appear in Arrows' livery were defenseman Tommy Anderson who went on to win the NHL's Hart Trophy (MVP) in 1941-42 with the Brooklyn Americans during an eight year NHL career, former Toronto St. Pats' winger Lloyd "Shrimp" Andrews, future longtime Chicago Black Hawk and New York Ranger blueliner Arthur Coulter, and New York Ranger goalie Dave Kerr. It should be noted here that Philadelphia also got a brief -- albeit disastrous -- first taste of major league hockey during this era when it hosted a National Hockey League club for one desultory campaign. The NHL's then doormat Pittsburgh Pirates pulled up stakes in the Steel City after the 1929-30 season and moved 300 miles east to share the Arrows' home ice at the Arena where they would operate as the Philadelphia Quakers for the 1930-31 season. The club -- which like the current NHL Flyers was garbed in orange and black -- was coached by J. Cooper Smeaton who thirty years later would be elected to the Hockey Hall of Fame in his far more accustomed rôle as a an NHL referee. Among the young Quakers' skaters in 1930-31 was another future Hall of Famer in 19-year old rookie center Syd Howe. In 1946 a group led by Montreal and Philadelphia sportsman Len Peto announced plans to put another NHL team in Philadelphia, to build a $2,500,000 rink to seat 20,000 on the site of the old Baker Bowl, and to acquire the franchise of the old and dormant Montreal Maroons held by the Canadian Arena Company, owner of the Montreal Canadiens. 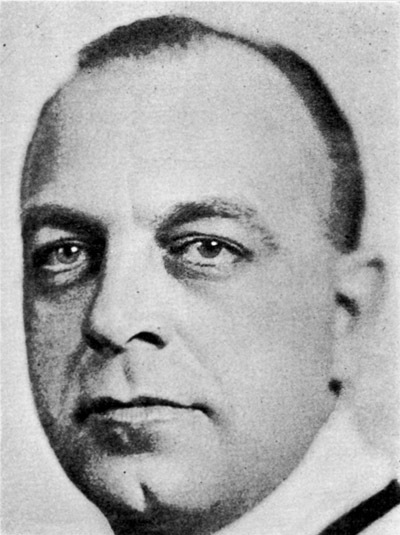 When Peto's group was unable to get the new arena project funded by the league-imposed deadline, however, the NHL evntually cancelled the Maroons franchise. 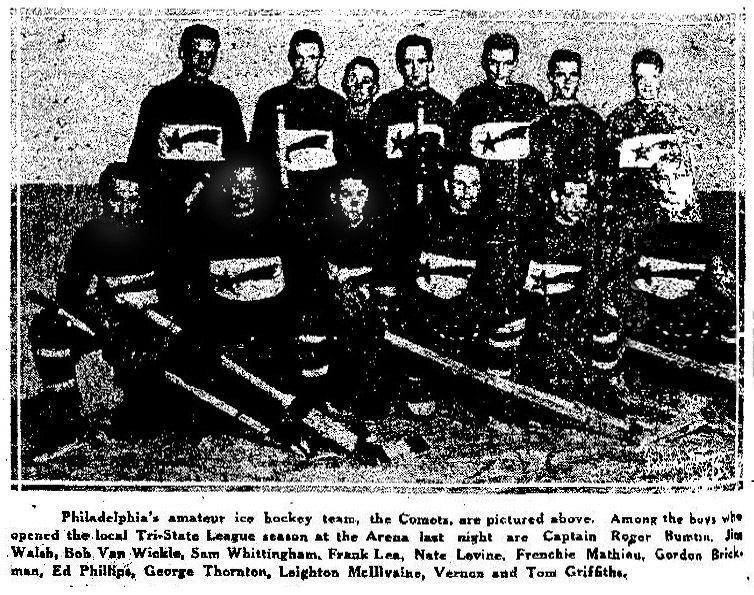 Not surprisingly the woeful Comets drew scant attention from either the local press or the city's hockey fans who were then quite smitten with the by now well established and increasingly popular now first-place CAHL Arrows. Even with bargain basement Depression era ticket prices of 50 cents to $1, the winless Comets could not lure more than a handful of Philadelphia's always demanding sports fans to see them play. 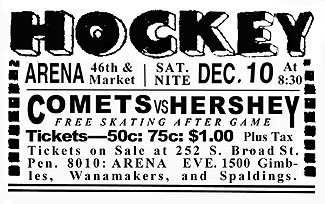 Thus, as did the NHL Quakers two years earlier, the Comets quietly folded at season's end to become just another obscure footnote in Philadelphia hockey history. With the Comets gone, in 1933-34 the Seagulls, Orioles, and B'ars joined up with four venerable and long standing New York based senior amateur clubs, the Bronx Tigers, New York Athletic Club, St. Nick's Hockey Club, and Crescent-Hamilton Athletic Club, to form the new seven-team EAHL, a league that would go on to operate almost continuously for four decades. (The EAHL failed to ice any teams only during the 1948-49 and 1953-54 seasons.) When the loop returned to the ice for the 1954-55 campaign it did so with a new name, the Eastern Hockey League, but after another nineteen seasons the by then twelve team, three division circuit split up into two new independent shinny guilds, the six-team Southern Hockey League and the seven-team North American Hockey League, which both began play in 1973-74 and folded in 1977. Over the years Philadelphia would eventually be represented in the EAHL by the Falcons, the EHL by the Ramblers, and the NAHL by the Firebirds. In 1935-36 the seven-year old Can-Am League Arrows were renamed the Ramblers when the franchise became the top farm club of the New York Rangers. With a 27-18-3 record that year it also became the final regular season champion of the stand alone C-AHL, but this time they also brought Philadelphia its first ever professional hockey play-off title as well when 23-year old goalie Bert Gardiner shut-out of the Providence Reds on the road, 1-0, on April 7, 1936, to take the championship series (3-1) and capture the Frank Fontaine Cup. In the Fall of 1936, the Ramblers and three other Can-Am League clubs (Providence, New Haven, and Springfield) joined up with four remaining clubs of the then seven-year old International Hockey League (née Canadian Professional Hockey League) -- Buffalo, Syracuse, Pittsburgh, and Cleveland -- to play an interlocking schedule as an eight-team "circuit of mutual convenience" which styled itself as the "International-American Hockey League." Just a month into its inaugural 1936-37 campaign, however, membership in the combined loop fell by one when the Buffalo Bisons unexpectedly dropped out. (The Bisons had lost their home rink, the lovely Peace Bridge Arena in nearby Fort Erie, Ontario, the previous March when the 5,000-seat, eight-year old structure's state of the art "Lamella Trussless" roof unexpected collapsed as the result of a major snow storm. The club started the 1936-37 season playing out of an arena in Niagara Falls, Ontario, but it soon became clear that they wouldn't be able to make a financial go of it in the smaller facility.) The makeshift loop carried on for the rest of that season (and the next) with just seven clubs. Gardiner's Ramblers again reigned supreme in the I-AHL's East in 1938-39 on a record of 32-17-5 while the then first-year Hershey Bears (which was brought in to take Buffalo's spot and bring the league back up to eight teams) took the regular season's Western Division with a 31-18-5 mark making the league's two Pennsylvania-based clubs also the two top in the new circuit. As might be expected these two rivals also accounted for half of the members of new league's 1938-39 All-Star squads. The Ramblers contributed four players including a pair of first teamers -- goalie Bert Gardiner who would go on to appear in 143 games with Montreal, Chicago, and Boston during the War years, and left winger Kilby MacDonald, the league's third overall scorer. (The next season MacDonald would be named the NHL's top rookie with the New York Rangers.) Rambler left wing George Allen -- who would go on to an eight-year NHL career with the Rangers, Black Hawks and Canadiens -- and his linemate, center Billy Carse (the league's number two scorer behind Pittsburgh's Don Deacon) rounded out Philadelphia's contingent as both earned second team All-Star berths. The Bears were represented by a pair of All Stars with defenseman Jeff Kalbfleisch on the First Team and goalie Alfie Moore backing up Philadelphia's Gardiner on the second team. Not surprisingly that first Philadelphia-Hershey hockey rivalry was no less intense than is the one between today's between the Phantoms and Bears. 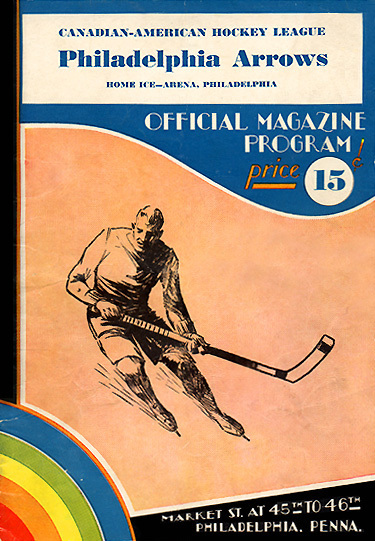 It began less than two weeks into the 1938-39 season when the Ramblers and Bears met for the first time ever before a crowd of 5,000 at the Hershey Sports Arena (now Hershey Park Arena) on November 17, 1938, with the Bears emerging victorious, 3-1, on goals by Howie Mackie, Red Hamill and Wally Kilrea against a single Philadelphia marker by Lude Waring. Two weeks later Hershey journeyed to Philadelphia for the first time and the Ramblers were apparently eager for revenge as the Bears were still the only team to have beaten the powerful Blueshirts when the chocolate and white stepped on the ice at the Arena in West Philadelphia for the rematch on November 30th. The Ramblers' earlier loss in Hershey was the only blemish on their league leading 8-1-0 record. While Hershey goalie Alfie Moore had held Philadelphia to just one goal in that first match, the Ramblers treated their home ice crowd of 5,500 to six against the veteran Bears' netminder to bring the Blueshirts' total to a remarkable 60 goals in just ten games. Unfortunately for the Rambler faithful, however, Hershey's marksmen solved Bert Gardiner an incredible nine times on the evening with Wally Kilrea, Deed Klein, Windy Steele and Jerry Shannon each scoring twice while Terry Reardon collected a single unassisted marker. The Bears and Ramblers met again on January 12th, 1939, when the Blueshirts invaded Hershey for just the second time. As had been the case with the first two contests, it was again a meeting between two league powerhouses with the Ramblers atop the Eastern Division and the Bears trailing the Cleveland Barons by two points in the Western Division. This time an SRO crowd of over 7,500 (including some 600 Rambler faithful who had made the journey in a chartered 12-car Reading Railroad train) saw Alfie Moore shut down the Ramblers again by holding the league's highest scoring team to just a single goal by Babe Tapin while Hershey's Earle Roche, Windy Steele, Deed Klein, Red Hamill and Orville Roulston all put the puck past Bert Gardiner who in just three games had already been solved by the Bears for an incredible 17 goals. Hershey's dominance over its neighbor to the East finally ended on February 8th, however, when a then record crowd of 6,620 in Philadelphia's dank Arena saw them finally defeat the Bears, 4-1, in a fight filled contest. 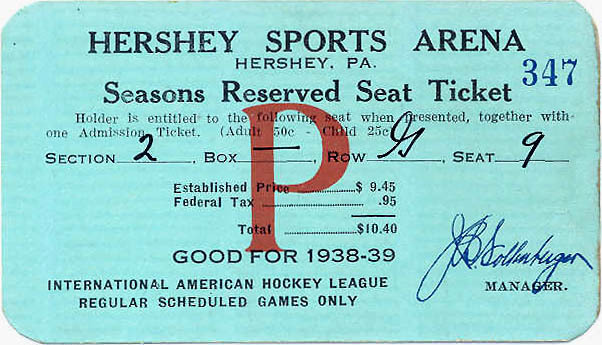 The clubs' final two regular season meetings of 1938-39 came in a much anticipated late season home-and-home set which opened in Hershey on March 9th and closed in Philadelphia with a return engagement two nights later. 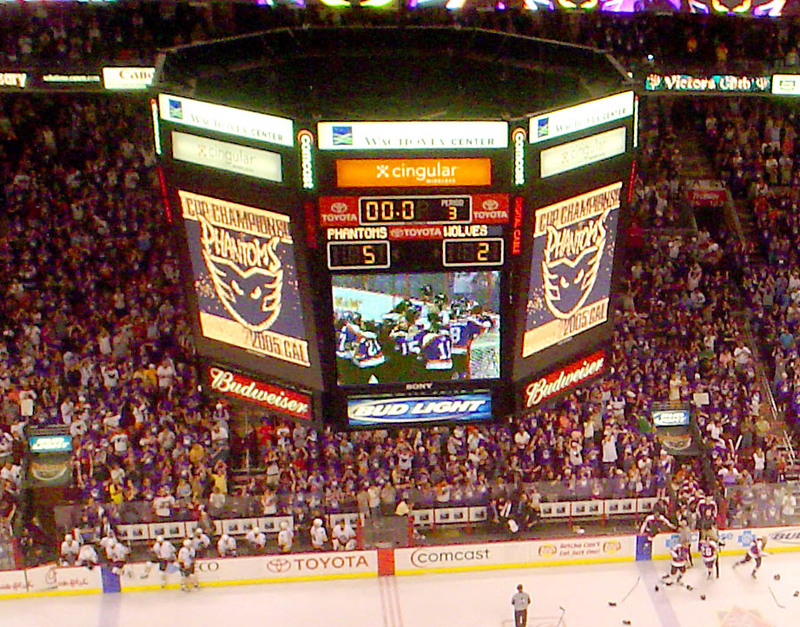 While each team would have three regular season games left with other clubs after this final set, for all intents and purposes this home-and-home match up would determine which of these two powerful clubs would finish with the best overall record in the league and therefore get home ice in the crucial best-of-five play-off series that Hershey and Philadelphia would open against each other less than two weeks later. As in the previous two meetings at Hershey, by game's end the Bears had easily whipped the visiting Blueshirts, 7-3, with the help of a hat trick by Jerry Shannon to pull within two points of the league leading Ramblers who had been forced to use former EAHL Hershey Cub netminder Harvey Teno in the contest when Bert Gardiner was felled by the flu. Two nights later, however, Gardiner was back at his post in front of the Rambler twine at 46th & Market Streets before an emotional SRO crowd on Saturday night, March 11th, for a classic contest won by the Ramblers, 2-1, on a third period goal by Kilby MacDonald. After just six games over five months an intense rivalry had indeed been born. Over a period just ten more days between March 21st and 30th, 1939, however, it would be forged white hot as the two clubs would then face each other in the play-offs for the then two-year old Calder Cup. Had the Bears not been defeated by the Ramblers, 2-1, in the final meeting of the season on March 11th, Hershey would have had home ice for the series with the better overall record. 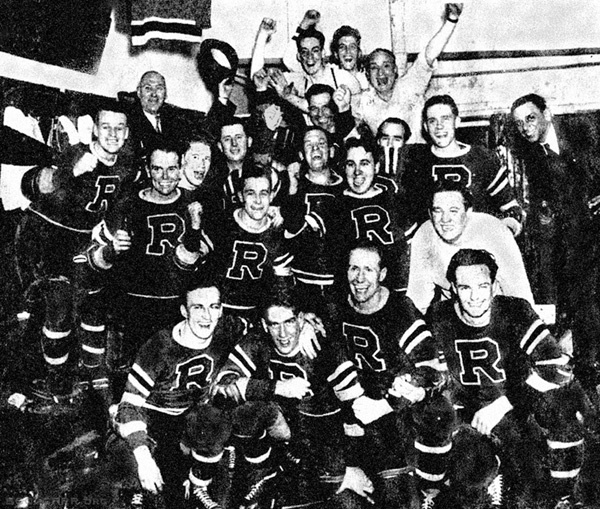 With that close loss just ten days earlier, however, the Bears were forced to play their first ever Calder Cup game in the Ramblers' West Philadelphia lair which went to the Ramblers who were led to victory by rookie Alf Pike who had just been assigned to the team with but two previous games of pro experience to replace veteran George Allen who had been called up to the Rangers the day before. Pike, who took Allen's spot that night on Philadelphia's top line with Billy Carse and Bobby Kirk, responded by netting a three goal hat trick in an impressive 6-3 Ramblers' win over the Bears. The Bears evened the series two nights later at Hershey, 3-2, defeating sub goalie Havery Teno who had again replaced Bert Gardiner when the Ramblers' All-Star netminder was recalled to the Rangers because of an injury to Dave Kerr. The largest crowd in Philadelphia hockey history to that date -- 6,758 -- packed the Arena for the third game and were treated to a splendid goaltending duel between Gardiner (who was back for just one game) and Alfie Moore won by the Ramblers, 2-1, in overtime on a goal by Cliff Barton 7:14 into sudden death after Lude Waring had tied the game for the Ramblers at 1-1 with just 3:54 left in regulation time. With the Ramblers holding a two-games-to-one edge in the series, the Bears faced elimination if they were to drop game four back in Hershey on March 28th where they were a perfect four-for-four in meetings with their rivals from Philadelphia. And as in their first play-off meeting at the Arena five days earlier the Ramblers would have to play without goalie Bert Gardiner -- and this time also center Billy Carse as well -- who were both back with the New York Rangers to play with the Ramblers' parent club in their Stanley Cup series with the Boston Bruins. Thus for the third time in less than three weeks the Ramblers took to the ice in Hershey with Harvey Teno in net -- and as was the case five days earlier the league's "spare goaltend" played well for the Ramblers, but lost by one goal, 4-3, on a late third period tally by Wally Kilrea (his second of the game) before an SRO crowd of almost 8,000. With the Bears' fifth victory over the Ramblers in Hershey in five tries (three regular season, two play-off), the series was again tied and returned to Philadelphia for a fifth and final game on March 30th. And for the fourth time in three weeks the Ramblers would be facing the Bears without their regular netminder, Bert Gardiner, but instead their fate would be in the hands of the beleaguered Harvey Teno who was 0-3 in his three previous games against Hershey for the Blueshirts. Teno's fourth try would prove to be the charm, however, for the former EAHL Hershey Cub as he shut-out the Bears, 3-0, in a tight checking game which amazingly had remained a scoreless tie for almost fifty-five minutes. Kilby MacDonald finally broke the ice for Philadelphia at 14:40 of the third period followed by Butch Keeling and Bobby Kirk at 17:02 and 17:32 to earn the Ramblers a berth in the Calder Cup finals and end Hershey's first AHL season on a losing note. The fate of AHL hockey in neighboring Philadelphia and Hershey took vastly divergent courses after the Eastern Division regular season champion Ramblers eliminated the Western Division titlist Bears in that bitter 1939 play-off set. In the almost seven decades since, Hershey has never failed to ice a club in the league and has captured the Calder Cup eight times. The Ramblers, on the other hand, were not only upset in their quest for the Calder Cup in the 1939 Finals by the third place Cleveland Barons, they never again finished higher than dead last in their division. The end for the Blueshirts' came, in fact, just three years later when they folded after a final vacuous campaign in 1941-42 in which the then Danny Cox coached club (playing that final season as the "Rockets") won just eleven of its fifty-six games (11-41-4) to finish its final season with but 26 points. During the War years the AHL itself also struggled as it dropped from ten to seven cities in 1942-43 with the departure of original member clubs in Philadelphia, Springfield, and at mid-season (January 18, 1943), New Haven. Membership dropped again to just six when the two-year old Washington Lions suspended operations prior to the 1943-44 campaign. As the nation recovered from the War years, however, so too did the AHL. In 1945-46 the circuit was already back up to eight clubs, and in 1946-47 both Springfield and Philadelphia also returned to the fold. 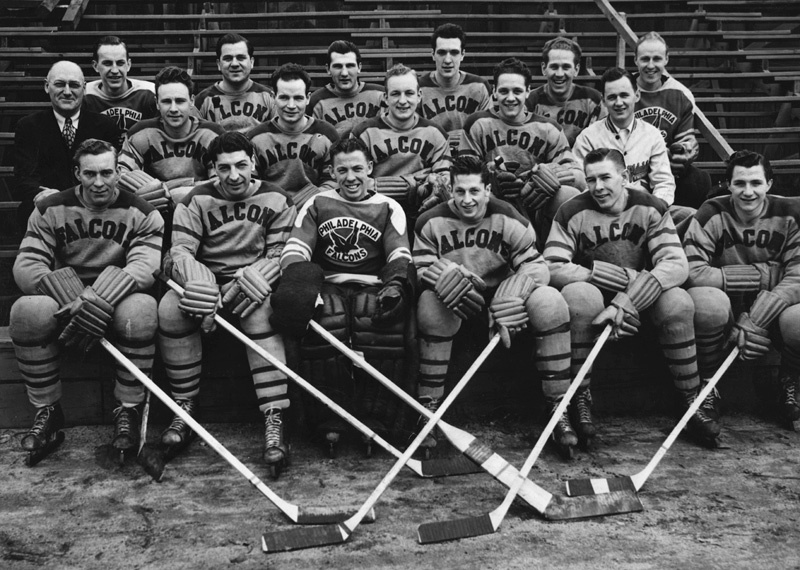 With the demise of the Ramblers, the only hockey in Philadelphia during the War years was provided by the EAHL Philadelphia Falcons from 1942 to 1946. The city went without hockey until 1951, when its knack for recycling teams took hold again. The Falcons of the Eastern Amateur Hockey League were reborn, but the results were disasterous. The 1951-52 Falcons never made it to 1952. The Falcons were disbanded in December 1951 due to poor attendance; the team's record was 8-17-0. 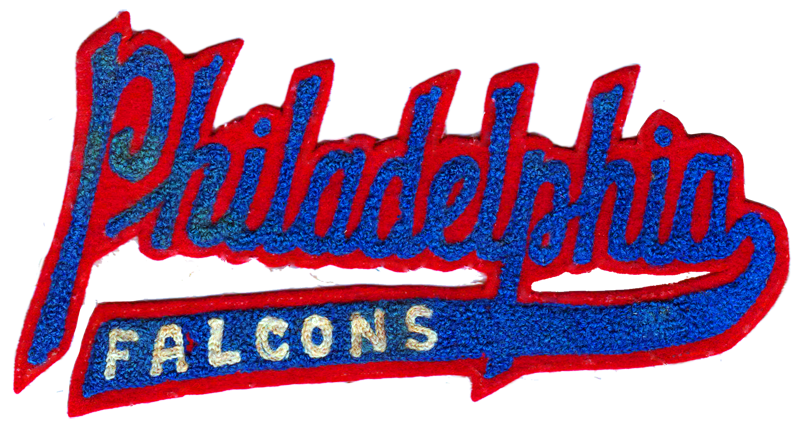 The final Falcon game was played December 15, 1951 at the Philadelphia Arena before 1,500 fans. The Johnstown Jets flattened the Falcons, 9-3. The team announced on December 19 that it would disband, but would play its next two games (versus the Springfield Indians December 20 and New York Rovers December 22). 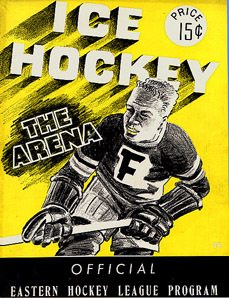 These games were cancelled early December 20 to allow the Falcon players to return to Canada without violating the Canadian Amateur Hockey Association ruling on eligibility (i.e., if a member played in the United States after December 15 and his team disbanded, he was not eligible to return to his hometown team). Peter A. Tyrell, Philadelphia Arena president and general manager, said, "The attendance this season to date has proven that there are not enough Philadelphians interested in hockey to warrant its continuance." And until the Ramblers revived four years later, the city had no pro hockey team. 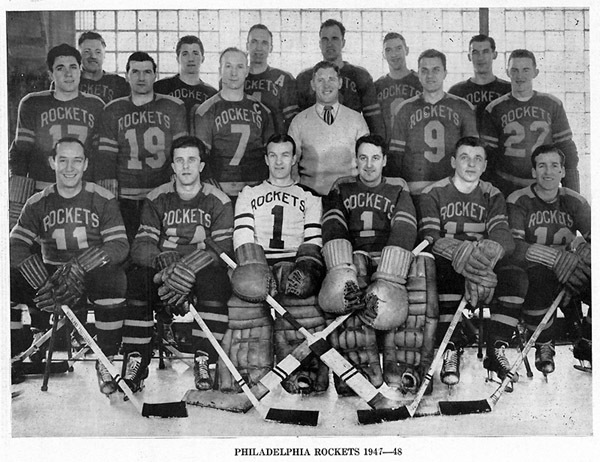 Unfortunately for Philadelphia's second AHL entry, the Philadelphia Rockets, that club's debut season would prove a virtual simulacrum of the late but unlamented NHL Philadelphia Quakers' single desultory campaign some sixteen years earlier. In fact the 1946-47 Rockets actually underachieved the 1930-31 Quakers in their inaugural season by winning just five times in sixty-four outings (5-52-7) for a "winning" percentage of .133 (against the Quakers'.136) to set a "standard" for futility for the AHL which still stands unchallenged over a half century later. 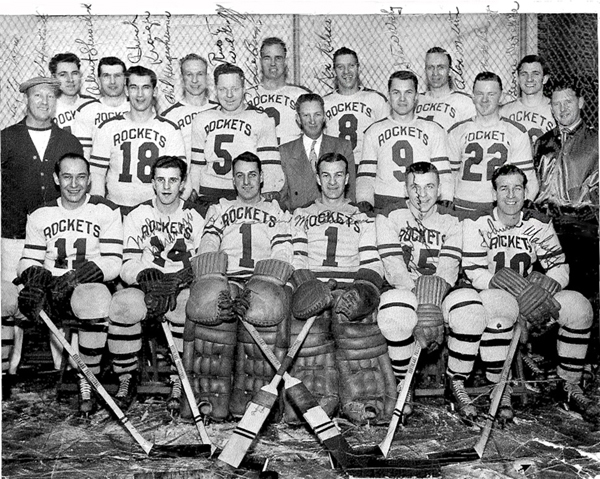 With just 17 points that season -- also a still standing all time AHL record low -- the Rockets finished their debut campaign 67 points behind first place Hershey (84) in the Eastern Division. However while the 46-47 Rockets were quite deservedly establishing themselves as the worst team in the history of the AHL, ironically the club also was also providing the city with its first AHL scoring champion -- Rockets' player-coach Phil Hergesheimer. The AHL's First Team All Star right wing that season, the then 32-year old Hergesheimer had spent parts of four workmanlike but otherwise undistinguished seasons with the Chicago Black Hawks prior to the War collecting just 21 goals in 125 career NHL games. With the 1946-47 Rockets, however, Hergesheimer contributed to virtually half of all of the club's 188 goals as he potted the puck 48 times in 64 games while assisting on 44 other goals for a league leading 92 points. Unfortunately for Hergesheimer, however, his club also surrendered an incredible 400 goals to opposition marksmen -- a stunning average of 6.25 per game -- making one wonder just how the Rockets had managed to win even the five games they actually did! Although no longer doubling as the Rockets' coach, Phil Hergesheimer remained on as a player and earned two more All Star berths as Second Team right wing in both 1947-48 and 1948-49. High scoring Rockets' defenseman Eddie Bush -- who himself later coached in the AHL in Pittsburgh, Quebec, and Richmond -- also earned All Star honors in 1947-48 while Wally Stefaniew led the league in assists that year with 72. While the Rockets improved vastly in their second season to a record of 22-41-5, that was only good enough for fourth place in the Eastern Division (some fourteen points behind third place Hershey) and left them out of the play-offs again. The 1948-49 season then saw the Rockets slip back again to 15-48-5, the second worst record in the eleven team circuit that year. After three seasons the Rockets had won just 42 of the 200 games the team had played while losing 141, tying just 17, and never making the play-offs. And they would never get a chance to win another as Philadelphia's second AHL entry folded in 1949 after just three seasons. The only hockey action in Philadelphia in the 1950's and early 1960's came from the Eastern Hockey League's Philadelphia Falcons (1951-52) and Ramblers (1955-64). 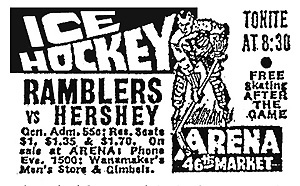 The EHL Ramblers provided Philadelphia with a decade of entertaining but otherwise undistinguished hockey until the team moved to just across the Delaware River to nearby Cherry Hill, NJ, after the 1963-64 season where they played in the Cherry Hill Arena as the Jersey Devils. Among the notables to play for the Red shirted EHL Ramblers was defenseman Ted Harris (1956-58) who would go on to win multiple Calder Cup (Springfield, Cleveland) and Stanley Cup (Montreal, Philadelphia) titles in his distinguished playing career which ended back in Philadelphia almost twenty years later where he won his last of ten championships with the 1974-75 Flyers. Other notable Ramblers were high scoring left wing Doug Adam (who later also coached the team), longtime Providence Reds', Boston Braves' and NHL Boston Bruins' netminder Ross Brooks, legendary EHL badman John Brophy who later coached the Toronto Maple Leafs (1986-89), blueliner Al "Junie" Fontana who went on to a long career as an AHL linesman, and former star Hershey Bear defenseman "Obie" O'Brien. The longest serving player on the club was center Reggie Meserve who joined the Ramblers from the EHL Washington Lions early in the 1955-56 season and remained with the franchise for its entire run in Philadelphia and five more seasons in New Jersey before retiring in 1969. In 1967, however, hockey's longest and brightest era in the city began with the arrival of the expansion NHL Philadelphia Flyers and the construction of their then state-of-the-art new arena, The Spectrum, at the south end of Broad Street. In contrast to Philadelphia's previous hockey failures, remarkably it would take just seven short years for the city which still owns the records for the fewest wins in a hockey season in two leagues to become a virtual hockey mecca as the Flyers won the Stanley Cup in both 1974 and 1975 -- and then defeated the Soviet Central Red Army in 1976. Five years after the 1967 return of NHL hockey to Philadelphia with the expansion Flyers, for the first time professional hockey also came to the city's classic 9,500-seat Convention Hall (built 1929, demolished 2005) located at 34th Street and Civic Center Boulevard in the University district of West Philadelphia and just a few dozen blocks to the Northwest of the Flyers' Spectrum lair. With the advent in 1972 of the World Hockey Association and the Philadelphia Blazers which the new "major league" counted among its dozen charter member clubs, Philadelphia also again became the home of two professional hockey clubs at the same time for the first time in more than four decades. 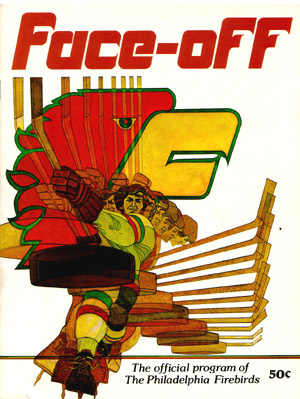 After just one season in Philadelphia, however, in 1973 the Blazers moved on to Vancouver, but in 1974 the North American Hockey League's expansion Philadelphia Firebirds took over the vacant Civic Center ice to again give the increasingly hockey mad city -- then also the new home of the Stanley Cup -- a second active pro hockey franchise. Although playing at a level below that of the NHL or AHL, the NAHL Firebirds developed a loyal following and in just their second season they too brought Philadelphia another professional hockey title -- its third in three years -- as the team captured the NAHL's Lockhart Cup championship in 1976. During its three NAHL seasons the Firebirds were coached by the colorful and highly successful Gregg Pilling, and its top line featured three former NHL players -- left wing Randy "Wizard" Osburn (Toronto Maple Leafs), center Bobby "B.C." Collyard (St. Louis Blues), and right wing Gordie "Roadhog" Brooks (St. Louis Blues, Washington Capitals). Two NAHL Firebird players went on to be head coaches of NHL teams -- right wing Don "Hayser" Hay (Phoenix Coyotes, Calgary Flames), and goaltender Lorne "Mooner" Molleken (Chicago Blackhawks). (Both are currently coaching junior hockey in the WHL -- Hay as head coach of the 2006 WHL champion Vancouver Giants and Molleken as GM/Coach of the Saskatoon Blades.) Goaltender Reggie Lemelin, who played with the Firebirds during all five of their seasons in Philadelphia in both the NAHL and AHL, went on to a highly successful fifteen year NHL career with the Atlanta Flames, Calgary Flames|, and Boston Bruins. While hockey was achieving great success in Philadelphia, unfortunately the cost of doing business in the game was rising precipitously with several more expansions of the NHL and added competition for the services of both NHL and AHL players from the WHA. Player salaries at all levels thus shot up dramatically, and to compensate for this the NHL clubs began to cut way back on the number of players they kept under contract for development. Many players under AHL contracts -- then also a source of WHA talent -- could also demand much higher paychecks to stay, and thus within a period of but three years from 1974 to 1977 the league fell from twelve teams to just six. Making the AHL's situation even bleaker as the 1977-78 season approached was the news that the Providence Reds -- the last surviving uninterrupted franchise from 1936-37 -- had decided to cease operations. After forty years of success, the AHL thus appeared in danger of folding altogether in another year or two if this dangerous downward trend were not reversed. As these clouds appeared their darkest, however, two events -- both involving Philadelphia -- helped reverse the trend in the Fall of 1977 and began the league back to the great health it enjoys today. The first of these was the decision of the Philadelphia Flyers to return to the league as a team owner. The second, ironically, was the unexpected collapse of the North American Hockey League just weeks before the start of the 1977-78 season. The Flyers new AHL franchise became the highly successful Maine Mariners which went on to bring the city of Portland, Maine, Calder Cup titles in both its first and second seasons of operation. (Since then that city has seen the Cup paraded through its streets twice more by the Mariners in 1984 and the Pirates in 1994.) The folding of the NAHL meanwhile left two of its member cities which wanted to continue to operate teams -- Philadelphia and Binghamton, NY -- suddenly without a league to play in. Danny Belisle -- who the previous year had guided the Syracuse Blazers to the NAHL's last Lockhart Cup championship -- was named the new AHL club's coach and GM and quickly went about acquiring players. The Detroit Red Wings supplied a number of skaters from its CHL club in Kansas City including future Flyer coach Terry Murray. To provide continuity and fan identification, a number of the top players of the NAHL Firebirds were also retained either by signing with the new club or being assigned by the NHL clubs who then owned their contracts. Among those was right wing Gordie Brooks and his long time center Bobby Collyard who had also played together with the St. Louis Blues, Washington Capitals and AHL Richmond Robins. Reggie Lemelin was again provided by the Flyers and later briefly by the Atlanta Flames (with whom he had signed in 1978) before going on to a stellar 14-year NHL career with the Flames (in both Atlanta and Calgary) and Boston Bruins. Lemelin later served as the goalie coach for both the Flyers and Phantoms between 1997 and 2009 . The Firebirds first game came at Civic Center Convention Hall against the equally new Maine Mariners -- and surprisingly the 'Birds upset the far more talented Mariners. Within a couple of weeks the Flyers made several deals to strengthen the Mariners including one with Detroit which brought Terry Murray back to the Flyers' fold and put him on Maine's blueline where he won consecutive Eddie Shore Plaques as the AHL's top defenseman and First Team All Star while leading the Mariners to a pair of Calder Cup titles in 1977-78 and 1978-79. The Firebirds nonetheless had stars of their own with Lemelin, Brooks and defenseman Rick Wilson all earning First Team All Star berths while Maine's Murray, center Blake Dunlop and left wing Al Hill filled out the league's top six. Brooks also captured the John B. Sollenberger Trophy as the AHL's top scorer with 98 points while his 42 goals tied him with Springfield's Charlie Simmer. With a record of 31-21-7 in a league-leading 60 games Reggie Lemelin beat out Springfield's Mario Lessard -- his former junior teammate -- for most wins while his 2.96 GAA was bested only by New Haven's Hardy Astrom and Nova Scotia's Maurice Barrette. With a record of 35-35-11, the Firebirds finished third in the Southern Division to become the first Philadelphia-based AHL team to earn a play-off berth since the 1938-39 Ramblers, but they fell in the opening round, three-games-to-one, to the Parker MacDonald's powerhouse New Haven Nighthawks. 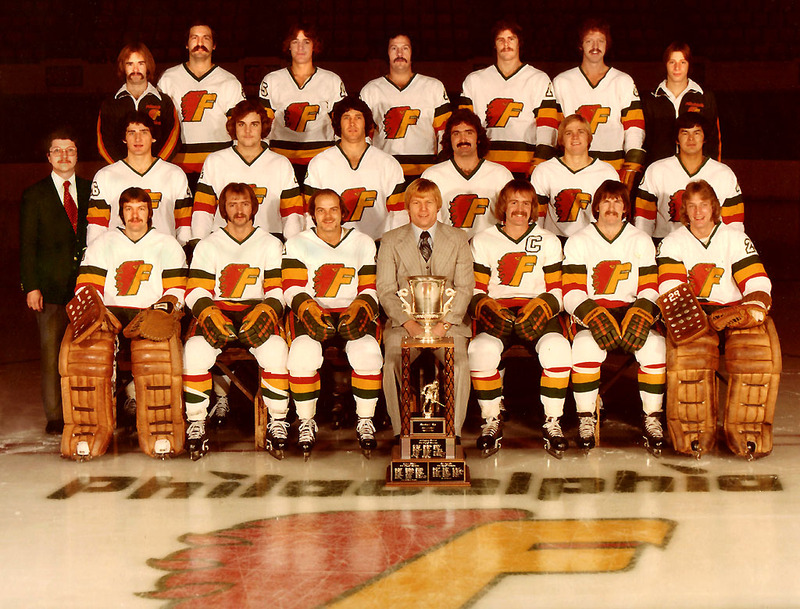 The Firebirds' roster in 1978-79 was in constant flux with players coming and going with remarkable regularity. Ironically among those was Bernie Parent's original Flyer goaltending mate, Doug Favell. Another player to who spent some time with the club that year on loan from the WHA Cincinnati Stingers was rough-and-tumble left winger and future NHL referee Paul Stewart. This led to a league-worst record of 23-49-8, decreasing attendance, and no play-off berth. Nonetheless the Firebirds did manage to earn a place in AHL history that year albeit indirectly. Midway through the season the Flyers' reassigned Mariner goalie Rick St. Croix to the Firebirds in order to give Pete Peeters more playing time in Maine. When All Star Flyer goalie Bernie Parent's career was unexpectedly ended by a freak eye injury on February 17, 1979, however, St. Croix was recalled to the Flyers briefly and then returned to the Mariners as Peeters and Robbie Moore were also called upon to back up Wayne Stephenson. St. Croix's first game back with Maine was a win in Hershey but Bears' GM Frank Mathers checked the rules -- and then filed a protest -- because the AHL did not permit a player to be reassigned within the league more than once in a single season unless he had been traded to another organization. The appeal was eventually upheld by league President Jack Butterfield, Maine's victory was forfeited to the Bears, 1-0, and St. Croix was forced to return to the Firebirds for the remainder of the season. So far as can be determined, this remains the only such forfeit awarded after a game had been completed in AHL history! At season's end the Firebirds pulled up stakes in Philadelphia and moved on to Syracuse for one last season. It would be another eighteen years before the AHL would return to Philadelphia in its fourth -- and by far most successful -- incarnation with the arrival of the Philadelphia Phantoms in 1996. Although the parent Flyers would now be developing its players in Philadelphia for the first time, its strong connection to the AHL goes back to before the Flyers even played their first game. Among the first things that the nascent Flyer organization did after being awarded its NHL expansion franchise in 1966 was to purchase an existing AHL club -- the Quebec Aces -- to help develop the players who would go on to make the Flyers one of the most successful organizations in the history of professional sports. Over the next three decades the Flyers continued to groom its future stars in the AHL with the Aces, Richmond Robins, Springfield Indians, Maine Mariners, and finally with the Hershey Bears from 1984 to 1996. Three of those clubs -- the 1977-78 and 1978-79 Mariners and the 1987-88 Bears -- also went on to win Calder Cup titles. While the Flyers' affiliation with the Bears had been a long and fruitful one, with the NHL club's impending move to its new home, The CoreStates (later First Union, and now Wachovia) Center, in 1996 new tenants would be needed to fill the hundred or so NHL and NBA dates each year which would move from the Spectrum across the parking lot to the new building. And so in December, 1995, the Flyers purchased an AHL expansion franchise which would begin operation in the 1996-97 season. A few weeks later it was announced that the new team would be named the Philadelphia Phantoms and would be coached by Hall of Fame former Flyer winger Bill Barber assisted by veteran ex-Bear and Flyer defenseman Mike Stothers -- the same tandem then coaching Hershey. Although earning three wins and a tie at home in six October dates, the Phantoms also lost twice at the Spectrum that month to Hershey and Syracuse. After falling to the Crunch, 6-1, on October 20th, however, the club would not suffer another loss -- or tie -- on Spectrum ice for over three full months! A 5-5 deadlock with the Bears before a sold out house on January 31st finally ended the Phantoms' home winning streak at a remarkable 19 to best by two the then 59-year old AHL mark of 17 consecutive home victories set by the Cleveland Barons in 1937-38. By season's end the Phantoms had compiled a 49-18-3-10 record for a league best 111 points, ten more than second overall Hershey's 101. For the second time in his AHL career, Phantoms' center Peter White captured the Sollenberger Trophy as the AHL's top scorer with 105 points while center Vinnie Prospal finished fourth overall in the league with 95 despite being called up to the Flyers with 17 games left in the season! And as in 1938-39, Hershey and Philadelphia dominated the All-Star Teams with defenseman Darren Rumble, left wing Patrik Juhlin and Prospal earning First Team honors along with White's Second Team berth. After sweeping aside the Baltimore Bandits in three games in the opening round of the play-offs, the Phantoms went on meet their arch rivals, the Hershey Bears. As in the only previous Calder Cup meeting between Philadelphia and Hershey in 1939, the set went the distance and as much resembled a war as it did athletic competition. And as almost sixty years earlier, its outcome was not decided until the final moments for the last possible game. After being upset by the Bears in the first game at the Spectrum, the Phantoms rebounded to even the series in game two in a memorable fight filled 7-4 victory which featured a Calder Cup record 350 minutes in penalties -- and the appearance of no less than five goalies in the game! After the Phantoms split the next two in Hershey, Neil Little's 3-0 whitewash in game five on May 10th gave the Phantoms a 3-2 lead in games and the upper hand to take the series in game six the next night in Hershey. In what would prove to be the longest game ever played by a team in the Flyer organization, however, that contest would not be decided until the third overtime when Hershey's Blair Atcheynum beat Little forty-two seconds into the sixth period of the night to even the series once more. Three nights later the Bears upset the Phantoms once again in game seven, 3-2, to end Philadelphia's debut season. As in their inaugural season the Phantoms again finished first overall in 1997-98 with 106 points on a record of 47-23-2-10, and again Peter White took home the Sollenberger Trophy as the league's top scorer with another 105 point season. As did Darren Rumble the year before, the Eddie Shore Award went to Jamie Heward as the AHL's top blueliner while Craig Darby took First Team All Star honors at right wing. Even more remarkable, however, was the response of the Philadelphia hockey fans to the Phantoms as sell out crowds of 17,380 packed the Spectrum eight times during the regular season schedule with a total season attendance of 472,392. Over 100,000 more attended Phantoms' home Calder Cup games in Philadelphia that Spring. After defeating the Rochester Americans in the opening round of the Calder Cup play-offs, three-games-to-one, the Phantoms met the then defending Calder Cup champion Hershey Bears for the second year in a row and avenged their heart breaking seven-game loss to them of a year earlier with a four-game sweep culminating with a 3-0 Neil Little road shutout. The powerhouse Albany River Rats were Philadelphia's Western Conference Finals opponent and they fell in six games with Little picking up two more whitewashes on the road to send the Phantoms on to the Finals in just their second season. As expected the championship series against the Saint John Flames proved to be their toughest with the first three games all going into overtime. Sean O'Brien's goal at 1:27 of the second overtime gave the Phantoms the first game, 3-2, but the Flames evened the series with an 3-2 OT win of their own in game two. With a 4-3 OT win in game three and a 6-4 victory in game four the Phantoms extended their road play-off winning streak to a remarkable nine games before finally suffering their first -- and only -- play-off road game loss as the Flames took game five, 6-1, to send the series back to Philadelphia to be decided. A crowd of 17,380 -- the Phantoms' ninth sell out of the year -- packed the Spectrum on the evening of June 10th for game six and saw the Phantoms play a virtually flawless contest as they defeated the Flames handily, 6-1, behind the stellar goaltending of Neil Little who had allowed just 48 post season goals on his way to a 15-5 play-off record. Winger Mike Maneluk -- whom GM Bob Clarke had acquired early in the season from Ottawa for One Dollar -- earned the Jack A. Butterfield Trophy as the play-off MVP while also being the league's leading post season scorer with 34 points on 13 goals and 21 assists. Maneluk's scoring exploits were almost matched by Jim Montgomery (13-16-29) who also notched a team leading five power play goals. As the SRO Spectrum crowd cheered, Phantoms' captain John Stevens (who had also won Calder Cups with Hershey and Springfield) and his mates paraded the Calder Cup around the same ice as the Flyers had skated their first Stanley Cup twenty-four years earlier. And so almost sixty-two years after the first AHL game had been played in Billy Penn's "Greene Countrie Towne" by the Ramblers in November, 1936, the Calder Cup had finally come to Philadelphia! On October 10, 1998, the Phantoms raised their first-ever Calder Cup Championship banner into the Spectrum rafters where it joined those of the Flyers' many Conference Champion and two Stanley Cup banners from 1973-74 and 1974-75. Less than two months later the club welcomed the its 1,000,000th fan to become the fastest American Hockey League franchise to draw one million fans in the league’s then 63-year history. (More than three million fans have now passed through their turnstiles.) The Phantoms also hosted the 1999 AHL All-Star Game that season for which they supplied a league-high seven players to represent the team in a spirited contest played before a crowd of 14,120 at the then First Union (now Wachovia) Center on January 24, 1999. Defenseman Sergei Klimentiev, center Richard Park and goalie Jean-Marc Pelletier all skated for the PlanetUSA team, while centers Peter White and Jim Montgomery joined head coach Bill Barber and assistant coach Mike Stothers on the Canadian squad for which White also served as captain. Pelletier won the game’s MVP award with his outstanding period of work for PlantUSA in their 5-4 win over Barber's Canadian squad. The Phantoms continued to draw fans through the turnstiles at a prodigious rate as they drew a then-franchise attendance record when 19,532 at the First Union Center on February 28th to see the Phantoms and the Kentucky Thoroughblades skate to a 3-3 draw. With a capacity crowd of 17,380 at the Spectrum on April 11th to watch the Phantoms conclude their home schedule against the Hershey Bears, the club established an AHL-best overall single season attendance record of 480,106, an average of 12,002 fans per game. 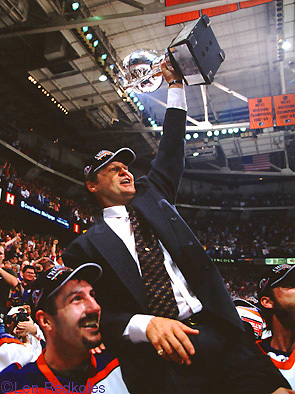 With head coach Bill Barber's promotion to the Flyers as an assistant (and later head) coach, assistant coach John Stevens (who had been forced to retire as a player the previous season because of a serious eye injury) became the new head coach of the Phantoms in June, 2000. Stevens, the team's first captain, was soon joined by former Flyer defenseman Kjell Samuelsson and winger Don Nachbaur to complete the new staff. In November, 2003, long-time NHL tough guy and former Flyer left wing Craig Berube signed with the Phantoms to finish his 18-year pro career back in Philadelphia as a player/assistant coach and retired as a player at the end of the season to become a full-time assistant coach for the 2004-05 campaign replacing Nachbaur who had since returned to the WHL as head coach of the Tri-City Americans. While it may have only been a coincidence, not long after signing Berube the Phantoms and Binghamton Senators combined for 373 penalty minutes in a 5-1 Sens' win at the Spectrum on December 28th, 2003, to establish new club records for most PIM (210), combined PIM, and even an individual team mark set by Peter Vandermeer with 44 PIM. After 11 fights and 15 game misconducts, the game is called with eight seconds remaining due to a lack of players on each team. The Phantoms clinched the F.G. (Teddy) Oke Trophy as the AHL’s East Division 2003-04 regular-season champion with a 0-0 tie in Bridgeport on April 10th for its fourth division title and 13th shutout of the season. (The previous franchise record for shutouts was just five.) The following night the club ended the regular season by completing its improbable 12-0 season sweep in games of the rival Hershey Bears with a bizarre 3-2 overtime victory at the GIANT Center in Hershey. Goalie Antero Niittymaki was credited with the game-winner on a shorthanded, empty-net goal 2:32 into the extra session, making him the first-ever Phantom goaltender to "score" a goal. (With the Bears needing two points in their final games of the season to make the playoffs, Hershey coach Paul Fixter pulled his goalie in overtime when the home team got a powerplay but then the Bears inadvertently shot the puck into their own net when their pointman missed a pass. Niittymaki was credited with the goal because he was the last Phantom player to have touched the puck.) Over the season Philadelphia had outscored Hershey, 47-14, in the 12 match-ups between the two clubs. But despite finishing the regular season with 46 wins and 101 points, the Phantoms were upset in the second round of the play-offs by the Wilkes Barre/Scranton Penguins, a team that had finished the season 15 points behind them. The Phantoms' fate in the next year's play-offs would be a much different story, however. The 2004-2005 season would see the now 70-year old Calder Cup return to Philadelphia for a second time, and do so in record setting fashion. After dropping their first two games of the season on the road, the Phantoms posted a 5-3 victory over Hamilton in their home opener on October 22nd which would prove to be the first win in an AHL-record 17-game win streak which they set with 3-1 victory in Hershey on November 27th. On April 15th Antero Niittymaki's 4-1 victory over Hershey also broke the team record for most wins in a season as he registered his 32nd win to break veteran teammate Neil Little’s mark of 31 set in both 1996-97 and 1997-98. While Niittymaki saw most of the playing time in the season, veteran Phantom netminder Neil Little was still able to make his mark as he became just the 10th goaltender in AHL history to accumulate 200 wins when he shut out the Bridgeport Sound Tigers on March 4 as the club compiled a 16-7-1 record over the final two months of the regular season to finish just one point behind the Jason Spezza led Binghamton Senators for second place in the division. While the Phantoms were already a very solid contender entering the play-off run, the roster improved drastically with the addition of the Flyers' two graduating 2003 first-round draft picks -- the OHL Sault-Ste. Marie Greyhound's Jeff Carter (taken 11th overall) and OHL Kitchener Ranger's Mike Richards -- who each joined the Phantoms as their junior clubs were eliminated from the Memorial Cup playoffs. Carter arrived in time for the final week of the regular season schedule and went on to lead the AHL in playoff scoring with 23 points (12-11) in 21 games. Richards joined the club a game into the second round and went on to collect 15 points (7-8) in 14 games. Next up were the Wilkes-Barre/Scranton Penguins who had already upset the Binghamton Senators in their first round set. After the Phantoms took the first two games at home and split games three and four in Wilkes-Barre, the series returned to the Center for one of the most memorable games in team history. Trailing 4-1 almost midway through the third period of game five, the Phantoms exploded for six unanswered goals over the game's final ten minutes en route to a 7-4 victory and a berth in the Eastern Conference Finals against the Providence Bruins whom the Phantoms dispatched as well in six games with another victory at the Center which also extended their post season home ice record to a perfect 11-0. With the victory over Providence the Phantoms were back to the Calder Cup Finals for the first time since 1998 where they would meet the Chicago Wolves, another powerhouse team that up until that point had breezed through the playoffs including a sweep of the Manitoba Moose in the Western Conference Finals. While both teams had plenty of scoring power, it was expected to be a battle of two stellar Finnish-born goaltenders -- the Phantoms' Niittymaki and the Chicago's Kari Lehtonen -- who had both been stellar performers all season long. Even though the Phantoms had finished the regular season with 103 points on a record of 48-25-3-4, for the first time in the 2005 post season the Phantoms would have to open a series on the road as Chicago had finished with 105 points (49-24-5-2) and had lost just seven times at home all season. As expected, the first three games of the series were tight checking, low scoring contests which featured stellar goaltending at both ends of the ice. Niittymaki, however, who was just a little bit better than Lehtonen, his fellow Finn, earning a surprise 1-0 shutout victory in game one. He was even better in game two, however, holding the high scoring Wolves to just one goal in a 2-1 double overtime victory to send the series back to Philadelphia where the the next three games -- if necessary -- would be played and Phantoms were already 11-0 in the play-offs. Niittymaki again held the Wolves to just one goal as the Phantoms defeated Chicago again, 2-1. Through almost eleven periods of hockey over three games, Niittymaki had allowed the high scoring Wolves (245 regular season goals) just two goals while Lehtonen and had been solved for just five by the Phantoms, but that differential of three goals was enough to give Philadelphia a 3-0 stranglehold on the series going into game four on June 10th. When the puck was dropped for game four an AHL playoff-record crowd of 20,103 was in the seats wearing thousands of “Purple Reign” t-shirts and hoping to see a Philadelphia professional hockey team win a play-off title on home ice for just the fifth time in the seventy-eight years since the CAHL Arrows first played a pro hockey game in the city in 1927. And the Phantoms did not disappoint the SRO crowd as they defeated the Wolves handily, 5-2, with future physician Ben Stafford (left) -- who retired after the play-offs to go to medical school -- collecting the Cup winning goal. Jeff Carter's 23 points (12-11) earned him individual honors as the AHL's top scorer in the play-offs and Niittymaki won the Jack Butterfield Award as the Calder Cup MVP. After the Phantoms shook hands with the Wolves' players at center ice AHL President Dave Andrews handed the Calder Cup to team captain Boyd Kane who skated it around the ice to the cheers of more than twenty thousand lucky hockey fans. Ironically exactly seven years earlier to the day, Phantoms' coach John Stevens had received the same Cup from the same hands a few hundred yards away at the Spectrum as captain of the 1997-98 Phantoms. The 2004-05 Phantoms not only brought the Calder Cup back to Philadelphia for a second time, more importantly for the parent Flyers the club also sent a dozen members of its championship roster on to the NHL in 2005-06. Eight players -- Antero Niittymaki, Jeff Carter, Mike Richards, Partick Sharp, John Sim, Joni Pitkanen, Dennis Seidenberg, and R.J. Umberger -- all saw regular service with the Orange & Black in 2005-06 while Ben Eager, Randy Jones, Wade Skolney, and Ryan Ready also were called up at one time or another during the season. In 2008 it was announced that the venerable Spectrum would be closed and demolished and thus the 2008-09 season would also be last for the Phantoms in Philadelphia. It would not, however, be the end of the Phantoms as a club or of their relationship with the Flyers, only a change of venue. The club was sold by the Flyers to Jim and Rob Brooks of Allentown, PA, and was moved temporarily to Glens Falls, NY where they played for five years as the Adirondack Phantoms while the Brooks brothers made plans for a new building to be constructed in Allentown. The arena, the PPL Center, was completed in the late summer of 2014 and the club, now called the Lehigh Valley Phantoms, played their first official AHL regular season game in the new 8,578 seat rink on October 17, 2014 beating the club that replacd them in Galns Falls, the Adirondack Flames, 4-3 in overtime. When the ships in Gov. William Penn's "Welcome" fleet dropped anchor in the Delaware River on October 28, 1682, not far from where the Spectrum and Center now stand, none of the settlers who had just made the hard eight weeks' passage from Deal, England, to help populate Penn's new "Greene Countrie Towne" had any idea what the Philadelphia they had come to build there would be like three centuries hence. What eventually grew from the labors they began, among other things, was a hard working city populated by millions of proudly "blue collar" sports fans. Over the past eighty years these have been entertained by the exploits of no fewer than ten pro hockey teams which each have -- whether they be good or bad -- provided them with literally thousands of nights of exactly the kind of intense, hard nosed sports action that this city loves the most! What more could they ever ask for? Philadelphia's second Calder Cup championship. Thanks to Paul Christman for information about the Comets.